OS X 10.10 Yosemite is widely considered as the amazing OS X Apple has put out and there are indeed a lot to like about it. And so is the Mac OS X . But this doesn't mean that it is perfect. As with any new products, it's understandable that annoyances might be identified while using Mac computer after upgrade to the OS. In fact, a fast browsing around the technical and support forums indicates that not a few users are struggling with Yosemite problems and bugs. If you ever have any experience with the same problems, look at the solutions and fixes and get a trouble-free experience on the tenth generation of the macOS. Here we list the most reported issues and problems with OS X Yosemite that users have encountered after their upgrade, including WiFi issues, Bluetooth not working problem etc. There detailed solutions to these problems are provided to help you get respective issues fixed fairly soon. 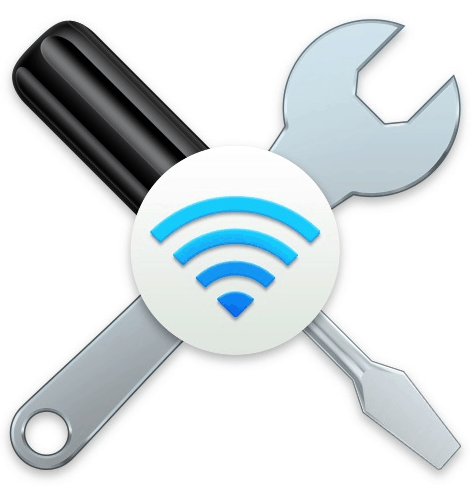 The WiFi problems are among the most common issues with OS X Yosemite. As a lag and unstable network can easily kill the productivity and fun, the slow internet seems to be a real problem. Apple had released v10.10.1 update in an attempt to fix this problem, however that’s not entirely the solution and many users still suffer from WiFi issues. How to get rid of the lingering wireless issues? Check the fix below. Option 1: This issue usually pertains to an ineffective Wi-Fi driver. There are some common solutions to this problem as well as many other OS X . These may or may not works, but you are suggested to try those fixes before go to more complex settings: Reset hardware settings on your system, including the PRAM (see here) and System Management Controller (see here); Restart in to Safe Mode (hold Shift at startup), and then restart normally again; Run a permissions fix on the boot drive using Disk Utility; Disable any security software, including the OS X firewall in the Security system preferences; Restart your router, and update its firmware, if applicable. Option 2: Check your wireless and router settings to verify the common internet issues and check if there are any interferences from other multiple wireless access points, as the 2.4 Ghz band Wi-Fi can easily affected by the cordless phones, neighboring routers, and other gadgets operating on the same frequency. It the Yosemite wifi issues still continue, try to set up a new Location to get rid of any possible configuration errors. Actually, nothing is perfect. Though you upgrade to macOS Sierra or Mac OS X 10.13, you will still face the macOS 10.13 update problems, like logout after macOS 10.13 upgrades, battery life drains fast issues, etc. Maybe the Wi-Fi problem is eased to certain extent, but another problem correspondingly ensue. Each has each troubles. The Bluetooth is also among the most frequently cried OS X. Some users suffer from Bluetooth discovery problems with OS X Yosemite while others have trouble to connect Bluetooth properly when they upgrade to 10.12. This is not a big problem but it's quite annoying. Fixes: to sovle the sluggish Bluetooth problems with Yosemite , you can try a few tips: disconnect all USB peripherals from the Mac (unplug anything connected to the USB port); shut down the Mac and wait for several minutes; reboot the Mac and reconnect the Bluetooth devices. Or, you can update your OS to OS X . There are also many users who have upgraded to the new operating system infuriated by Yosemite not booting problems, like getting stuck on boot in the middle, the Yosemite hangs on boot at 50%, Yosemite booting into Safe Mode etc. A non-starting Mac can make you feel at complete loss, so how to fix those issues? Fixes: It's hard to identify the factors that affect the process of Yosemite booting, but there are a few useful tips you can try to fix problems: make sure your Mac is well connected to the power by confirming the power cord, or you can try another power cord or adapter; disconnect all the devices connnected to the Mac; make sure your newly-installed memory or hard drive (if any) are correctly installed and compatible. One of often-heard OS X Yosemite issues that some users are running into involves the Yosemite battery life. For some users, the battery drain is drastically faster than normal use or compared with the previously installed version of OS X.
Fixes: to stop Yosemite's battery from draining too fast, you may try: 1. Stop automatic updates; 2. turn off the Eye Candy; 3. disable unused Location features; 4. lower the screen brightness; 4. Check the list of all the applications currently running on your device with the Energy Impact, disable the unnecessary applications. There are a number of users experiencing OS X with opening and sending emails. It seems that most of these issues with OS X Yosemite is caused by failed SMTP connection. If you also get an Yosemite mail SMTP problem, try the tips below. Fixes: The best practice to this problem is to go to Mail -> Preferences -> Highlight the account with the issue. Find the "Outgoing mail server (STMP)" under the "Account Information" tab and in that drop down there is an option to "edit STMP server list". Reset all the settings in the list. 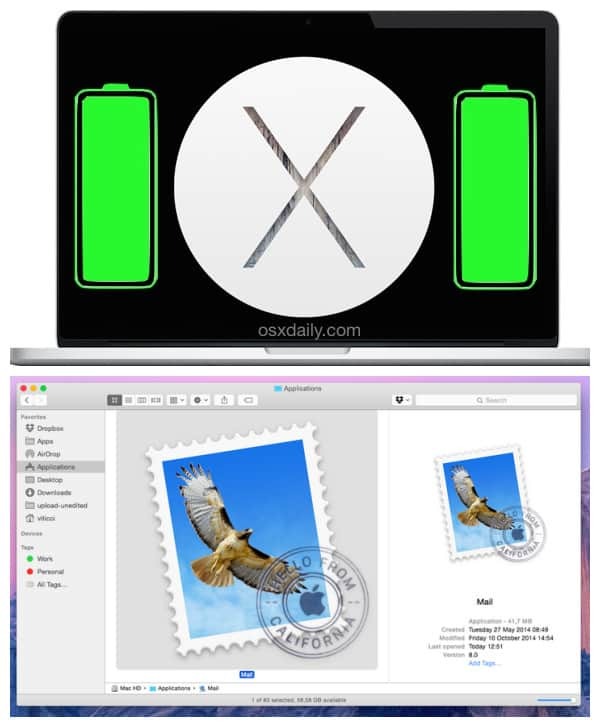 If these osx haven't been solved, removing and re-adding your email accounts can save you from the tedious and time-consuming troubleshooting process. 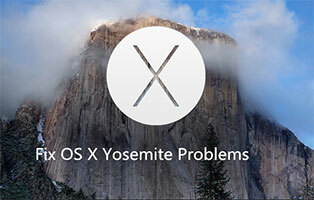 Problems involve apps are also among the repeatedly reported problems with OS X Yosemite . Users are complaining that apps especially Safari performs rather poor, related issues ranging from lagging operation to safari crashes or Safari not working Yosemite . Fixes: the possible troubleshooting approaches include: update your apps to the latest versions; disable third party extensions & plugins; delete the Safari caches and cookies manually; switch Safari to another browser like Chrome or Firefox. To improve the apps slow problem, you are suggested to change the Network preference to most preferred Wi-Fi network. The Spotlight search feature in Yosemite is quite convenient as it can tell you related external sites by sending the queries along with the users' locations to Apple and 3rd parties. This feature however causes a new concern about OS X's search feature. To eliminate those worries, you can just switch this feature off. 1. Go to System Preferences > Spotlight > Search Results > Disable "Spotlight Suggestions" and "Bing Web Searches". 2. Also note that a "Spotlight Suggestions" setting is separate from Spotlight's "Spotlight Suggestions". That is, if it left enabled, Safari will still send all search queries to Apple. To disable it: In Safari > Preferences > Search > Disable the Spotlight Suggestions. Although there are many Yosemite upgrade problems, but it's undeniably there are also many Yosemite benefits that justify it as the best OS X ever. Below we gather some major advantages that may make it an attractive option to upgrade OS X to Yosemite. 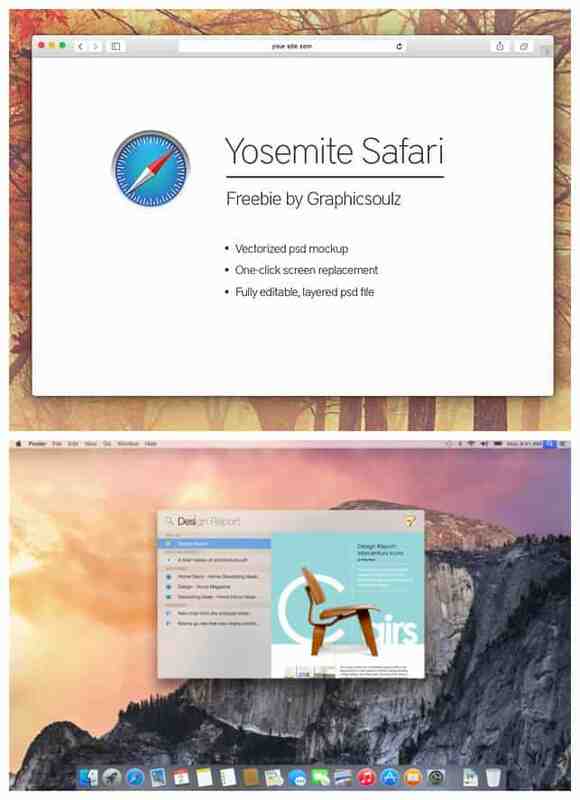 A distinct change in Yosemite compared with the previous OS X occurs in the look. Users can first notice that the interface is iOS-like, with flat look and low-key toolbar icons. Some users are not happy with the transparent design for the moment, but we must acknowledge that everything in Yosemite looks slim and sleek, with a wider adoption of flatter colors. In addition to the aesthetic improvement, the real big boost is that Yosemite sees a variety of new and improved features. For example, the OS X's Notification Center now packs a lot more information; the updated iCloud is accessible right from the Finder; various other upgraded smaller features like Spotlight, Mail, Markup etc. With two biggest functional changes AirDrop and Continuity, devices running iOS 8 and OS X 10.10 are somewhat unified. In other words, the Mac computer installed and user's iPhone and iPad running iOS 8 will be more connected than ever before. More specifically, users are now allowed to make calls and texts straight from their computer, rather than their phone. For those who want to make full advantage of the new Apple operating system after they upgrade to Yosemite , it is suggested to add some necessary programs on Mac. 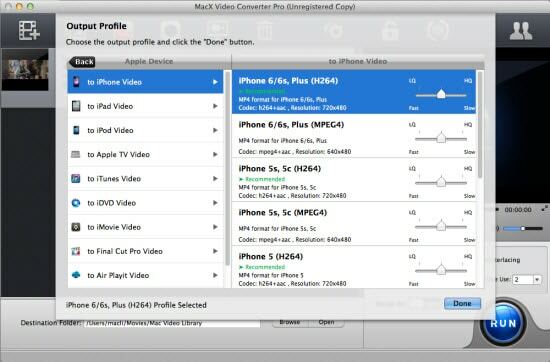 MacX Video Converter Pro: An all-around video converter for macOS, which integrates YouTube downloader, slideshow maker, screen recorder and video editor into one. You can easily download any video from any site and convert any videos (include the downloaded online videos), include 4K UHD 2160p, HD 1080p, 720p and SD videos into MP4, MOV, FLV, WMV, AVI and other commonly-used formats for playback on Mac, as well as directly to Apple, Samsung, HTC, Sony, Google and other mobile devices, with 83X faster video conversion speed and original quality reserved. 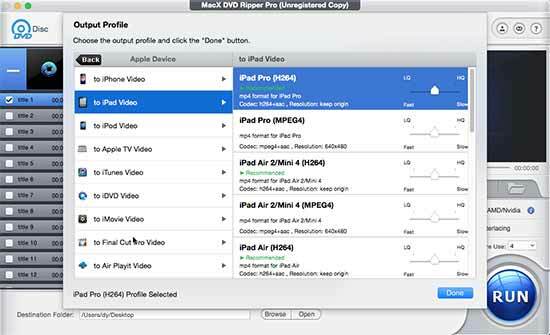 MacX DVD Ripper Pro: A professional DVD ripper for Apple OS X, is an expert in ripping any DVDs, including those protected by Disney, DVD CSS, region code, RCE etc (DVDs from Disney, Paramount, 20th Century Fox, Warner Bros etc) to MP4, MOV, AVI, WMV, etc iPhone 6S/Plus, iPad Pro, iPad Air 2, iPad Mini 4, Samsung Galaxy S6 edge+, Note 5, PS4 and many more with high quality.